Professor Alexis Jay was appointed to the Panel of the Independent Inquiry into Child Sexual Abuse in 2015. She was appointed as Chair of the Inquiry by the Home Secretary in August 2016. Alexis Jay is a visiting Professor at Strathclyde University, where she chairs the Centre for Excellence for Looked After Children in Scotland. She worked for over 30 years in social work, working with vulnerable families in deprived communities. In 2005 Professor Jay was invited by the Scottish Government to set up the Social Work Inspection Agency (SWIA) – a government agency to inspect all aspects of social services provided by Local Authorities. In this role, she was Chief Executive and Chief Inspector of Social Work for Scotland. 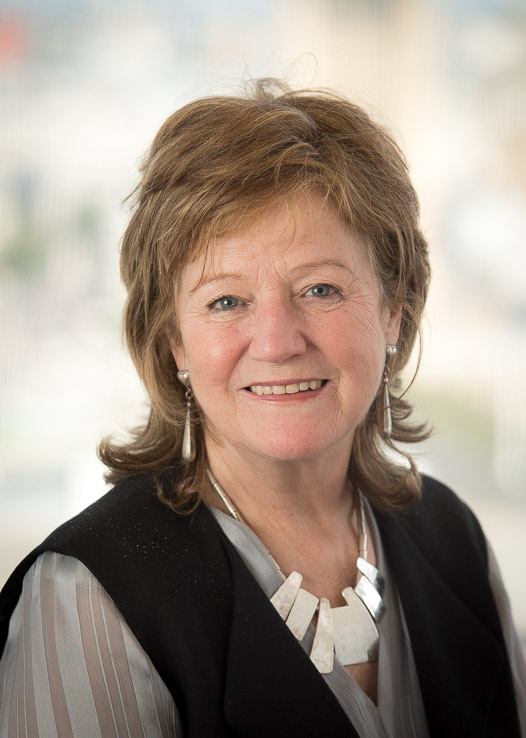 After the SWIA was merged into the Care Inspectorate in 2011, she took up the newly created post of Chief Social Work Adviser to Scottish Ministers. She is also Chair of the Life Changes Trust, which seeks to improve the lives of young care leavers and people with dementia, and of the Centre for Excellence for Looked After Children in Scotland (CELCIS), a government-funded centre based in the University of Strathclyde which carries out research and improvement activity within the children's sector in Scotland. Professor Jay was awarded an honorary doctorate from the University of Strathclyde in November 2015 (pictured). Sexual exploitation of children is a form of child sexual abuse. It involves exploitative situations, contexts and relationships where a child receives something, as a result of them performing, and/or another or others performing on them, sexual activities. Child sexual exploitation can occur through the use of technology.